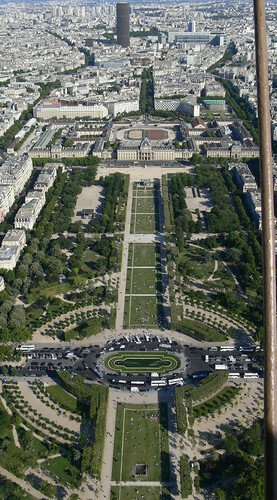 The day after visiting Versailles we move to our third campsite of the holiday. We’re getting pretty good at this taking the tent down and putting the tent up business. This site is just about 20km south of Paris in a village called Villiers Sur Orge and has a good local train service so we can leave the car on site when we go into the city. 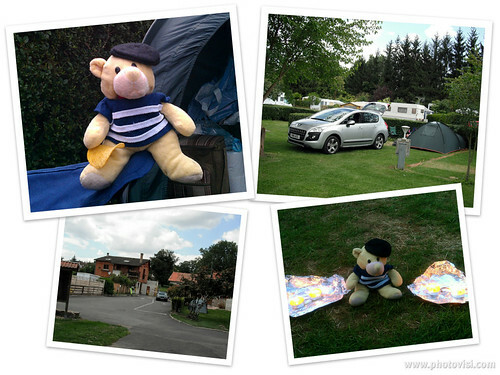 The campsite is Camping Le Beau Village de Paris and I heartily recommend it as a base if you are wanting to spend one or two days in Paris. It’s a great site and the staff are helpful and friendly but oh my life… the mosquitoes! Next morning we are up bright and early to catch the train into Paris. The local station, Saint Genevieve Des Bois, is about 15 minutes walk from the site and the trains are regular and on time. 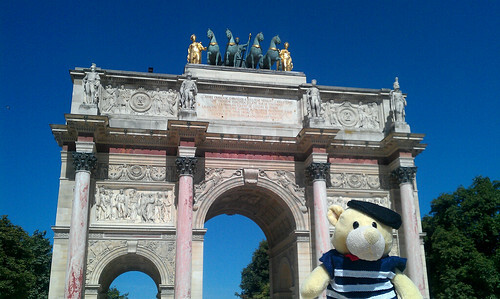 There is a ticket machine just outside the station where you can buy your tickets and it is easy to use (even for a small bear who doesn’t speak a huge amount of French). Here is the train route map along with a load of other information about tickets and timetables etc. 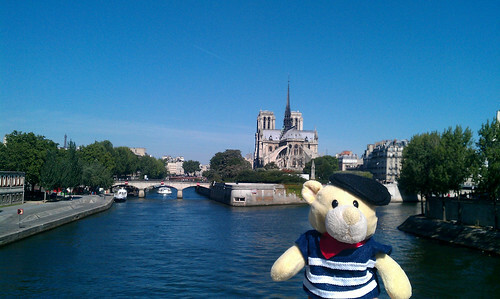 You can stop at several stations in the city but we chose to exit at Saint Michel Notre Dame. 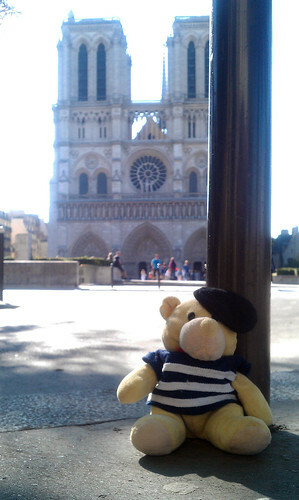 How exciting it was to step out of the station into the sunshine and see the cathedral. 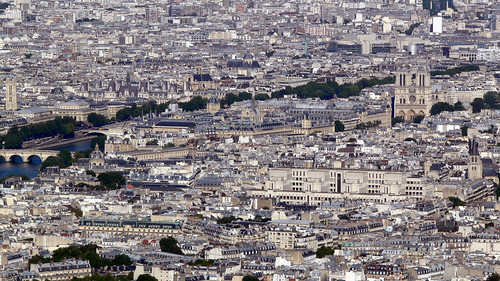 When you only have one day in Paris it’s difficult to know what to see first. 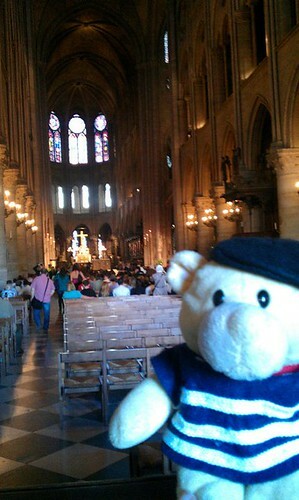 I am glad we started at Notre Dame though because not long after we went inside the choir started singing for mass. 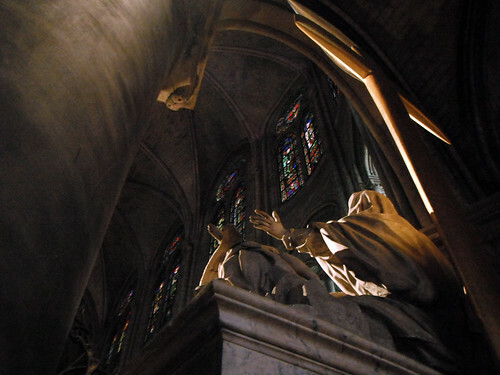 The cathedral has an excellent website where you can find lots of information including opening hours, service times and so on. There are so many things to see inside. 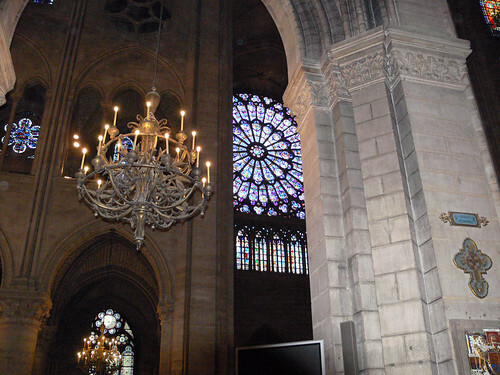 The rose window in the photo below is huge – it has a diameter of just under 13 meters. I think there are three altogether and they are very old. 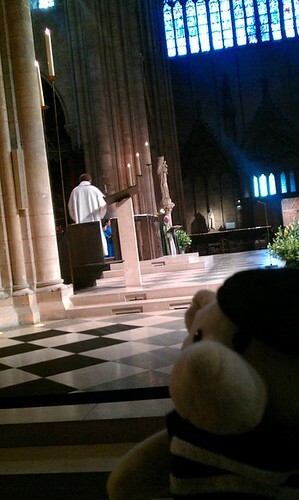 My singing isn’t that great so I sneak away from the congregation. It looks like the ceiling is miles away. 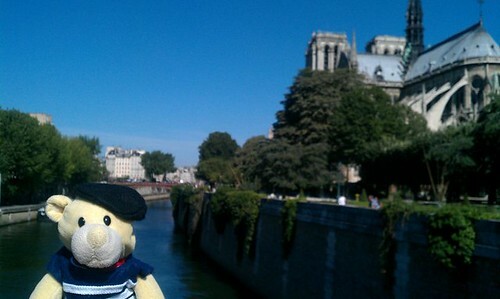 Stood on a bridge just by Notre Dame. 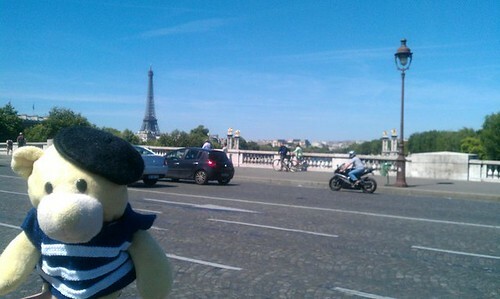 The photo below is of the bridge I’m standing on. 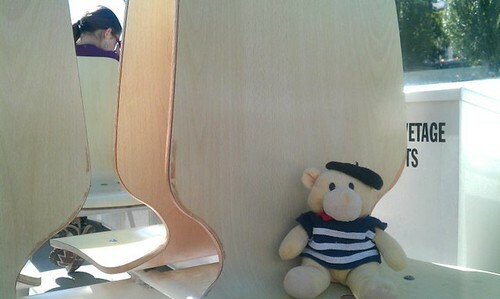 Isn’t it fantastic? 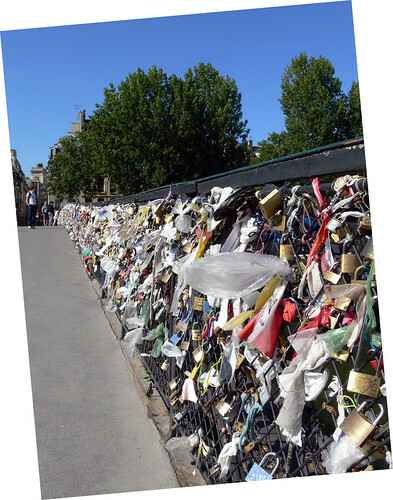 People come here and attach little keepsakes to the sides of the bridge. Isn’t it a lovely day? Hot and sunny and barely a cloud in the sky. We got the Batobus to travel up and down the river. 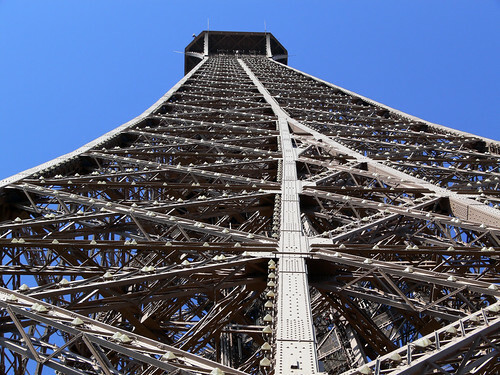 It’s relatively cheap to do and a great way to see the sites. 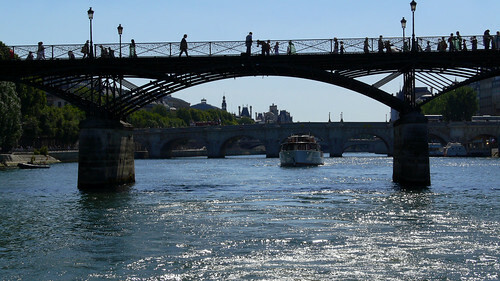 There are 8 stops at the major landmarks and you can get on and off the boat as many times as you like. A one-day ticket for an adult is 15 Euros (best value is if you are going for more than one day). You can buy your tickets online or at any of the 8 stops. 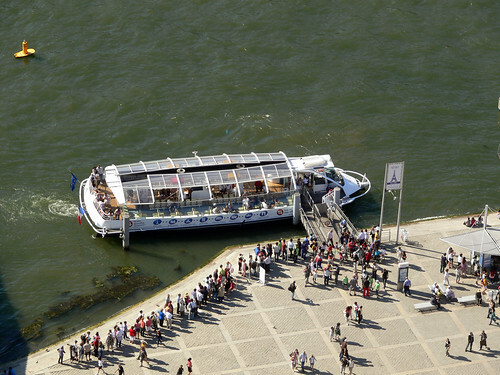 If it’s a hot day you might want to stand at the back of the boat or sit near an opening. The sun can be pretty hot through the glass. All the boats we went on had vending machines on them too so you could get a drink or a snack. I can’t see out of the window if I sit on the seat of the boat. There are LOTS of bridges over this river. 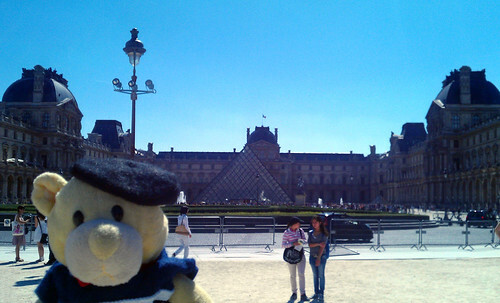 That’s the Louvre art gallery behind me. Phew! Just made it across. 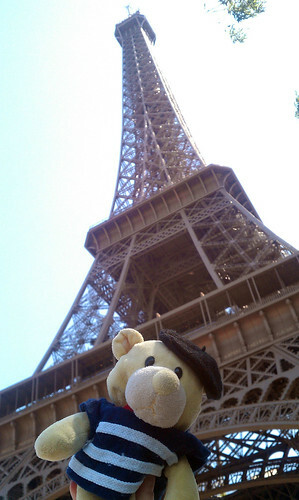 Finally, after a long walk across the city we have reached the Eiffel Tower. When we arrive the queues are massive but I have to say it moved along faster than I had expected, though we still waited for about an hour. If you buy your tickets in advance you have the advantage of not waiting in the queue. There are lifts to the second level up three of the legs and stairs in the fourth if you’re feeling fit as it’s over 700 steps. 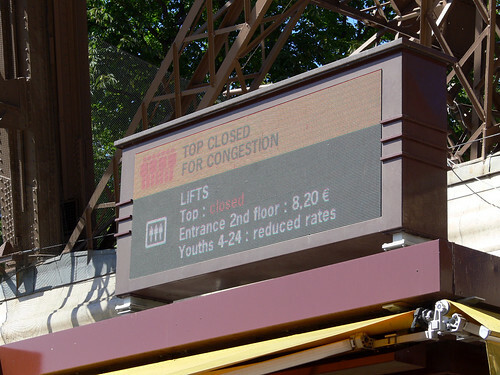 (Check the website before you visit as there may be lifts out of operation will have an impact on waiting times.) If you are going to the top you have to change lifts on the second level. 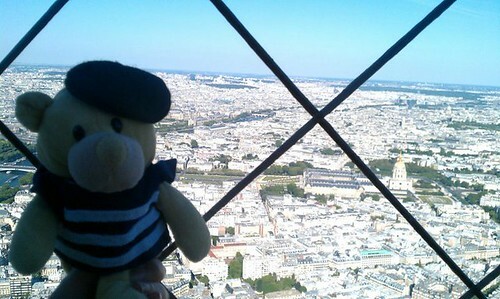 It’s definitely worth going to the top. Oh no! And we’ve waited for ages too 😦 Oh well, second floor it is then. It’s still a mighty long way up. The views are still pretty amazing from the second floor. Notre Dame looked so big this morning. Now it’s tiny. 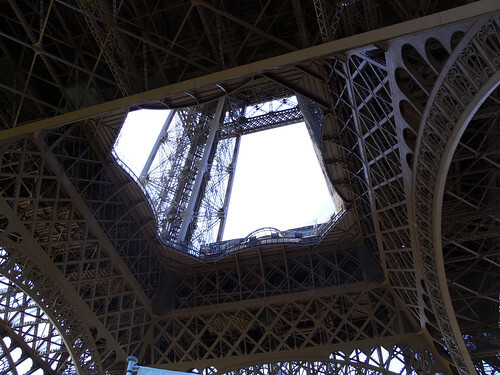 While we were walking round the second floor they re-opened the summit – hurrah! 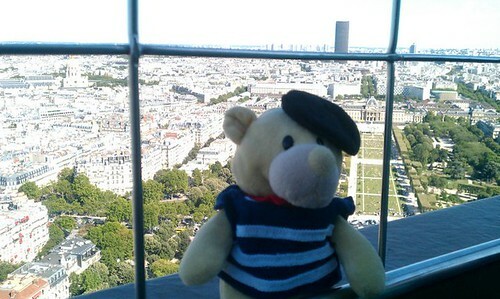 So here I am at the top of the Eiffel Tower. It’s pretty windy. Look how tiny the people are. This is one of the boats we’ve been travelling on up and down the river. 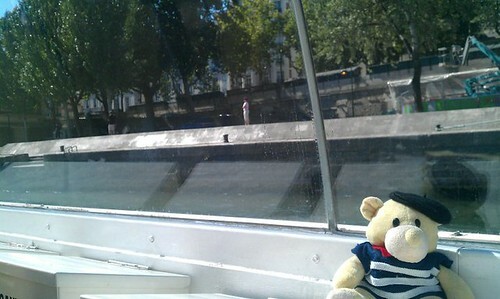 Here I am back on the waterbus heading for Notre Dame to get the train back to the campsite. My paws are so tired. Tomorrow we’re having a nice easy day before we move to our caravan in the Loire Valley so I hope you’ll join me in my next post about Chateau de Chenonceau and Parc Naturel de Boutissaint.